I have used a lot of backpacks since preschool. Most have been decent, some have been pretty terrible, but very rarely do I get a backpack that I love and that lasts me a long time. I usually need my backpack to lug around my laptop, various notebooks and binders, a couple of pens and highlighters, my water bottle, PLUS all the stuff I carry in my purse regularly. Believe me, it's hard to find a backpack that does all that without ripping in a few months. At the same time, I don't want to look like a giant dork lugging around all my stuff, so I need a bag that's simple and fashionable. When I had the chance to test out the Samsonite Tectonic backpack, I wasn't sure if it would live up to my standards. I was surprised to find that this backpack is a beast (in a good way.) Samsonite has made this roomy backpack both extremely comfortable and heavy-duty. You know how your shoulders and back hurts after carrying a heavy backpack around all day? The padded shoulder straps and back on the Samsonite Tectonic minimize the stress on your muscles so you don't have to feel like you need a massage everyday. Another pro? It has so many compartments for all your stuff. 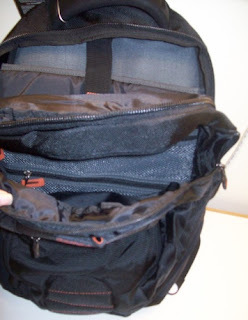 The backpack features a padded pocket to keep your laptop in place, plus numerous large compartments to keep your textbooks, pens, snacks, planner, water bottles, a camera to capture every moment, makeup bag, lotion, and more. Lastly, it is definitely not as dorky as rolling backpacks despite being able to carry, well, everything. It's available in a couple of basic colors and has a normal backpack look and feel. Leave it as is or attach a couple of your favorite pins and keychains and you're good to go on your trek down to your college classes! Overall, I love the backpack. For a backpack, it's simple yet durable and comfortable. And look how much stuff it can carry! If you're looking for durable laptop bags, backpacks, and luggage, check out Samsonite. 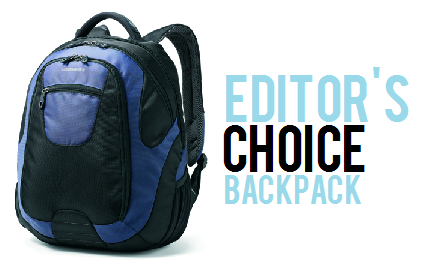 Note: Our editors sometimes test products, but they only write about the ones they actually love for Editor's Choice.